Are you ready to help your body heal and recover from chronic illnesses, pain, and more? 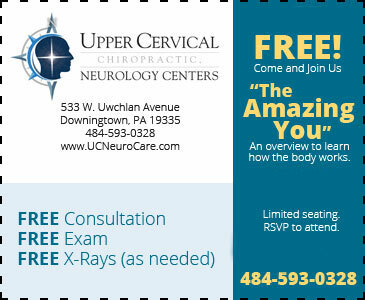 Get in touch with Upper Cervical Chiropractic Neurology Centers for the professional assistance you need. New Patient x-rays and visit must be at the Downingtown office.